With air shows in the UK being a prestigious and awe-inspiring event, it is safe to say that people do like to travel a long way to be able to spectate or simply take part with the air shows. In either way, a motorhome is the perfect addition to a perfect air show. When it comes to viewing an air show from within a motorhome it can be a lot more comfortable then viewing it without. 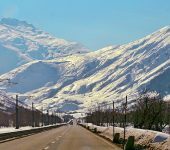 Firstly, if it turns cold during the event, you can simply put the heating on and sit in the motorhome or just our side radiating the heat. In addition, if it were to start to rain, you would have shelter on hand. This comes as most motorhome campsites for air shows are on the same site as the air shows it’s self so are well within walking distance. This in turn means that the motorhome can give you comfort from the weather. Secondly, a motorhome has all the comforts of home and many accommodation types at an air show simply cannot boast such benefits. Camping means that you would have to give up luxuries such a kitchen, working toilet and the comfort of a bed. 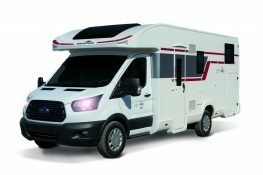 A motorhome of which can hold all of these necessities and extras such as central heating, showers, plenty of storage and the list goes on. Finally, there is the simple comfort that is the simplistic peace of mind. This comes simply as when you book a Priory Rentals motorhome you can know that everything is been taken care of, including accommodation, transport and amenities on hand, so you can simply relax and enjoy the air show. 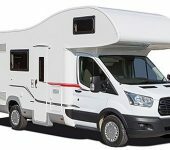 When it comes to comparing the price of a motorhome to the price of other forms of accommodation the price of the motorhome will usually come out a lot cheaper. When you compare the price of a B&B, travelling costs & meal costs combined, against the price of a priory rentals motorhome. It seems a little bit of a no-brainer that the motorhome comes a lot cheaper over the period of your getaway. When you are travelling by train or car, you are a lot more likely to be weighted down with a strong restriction on what you can bring with you. More so if you are a photographer or are visiting the air show with your entire family in one car. 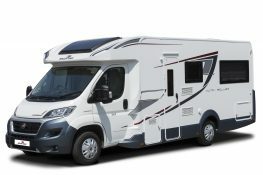 Travelling by motorhome gives you a lot more space for your family to be able to be comfortable on the journey and more so space to be able to stow away items such as equipment, general luggage or even some deck chairs to be able to sit down and relax whilst watching the show when you arrive. Most airshows tend to be on airfields, which are situated away from things like hotels and B&B’s. This, in turn, means that the only way to be able to stay within a close proximity of the air show is to come in a motorhome. 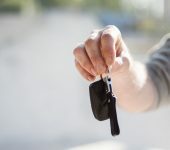 It allows you to be able to simply stroll back to the motorhome after the show and not have to trek for long periods back to your motorhome after the show. It also means that if you were to forget something you could simply head back and grab it. If taking a motorhome to an air show appeals to you, then why not look through our Motorhome Rental range and see which motorhome is best for you and your needs?